Win! 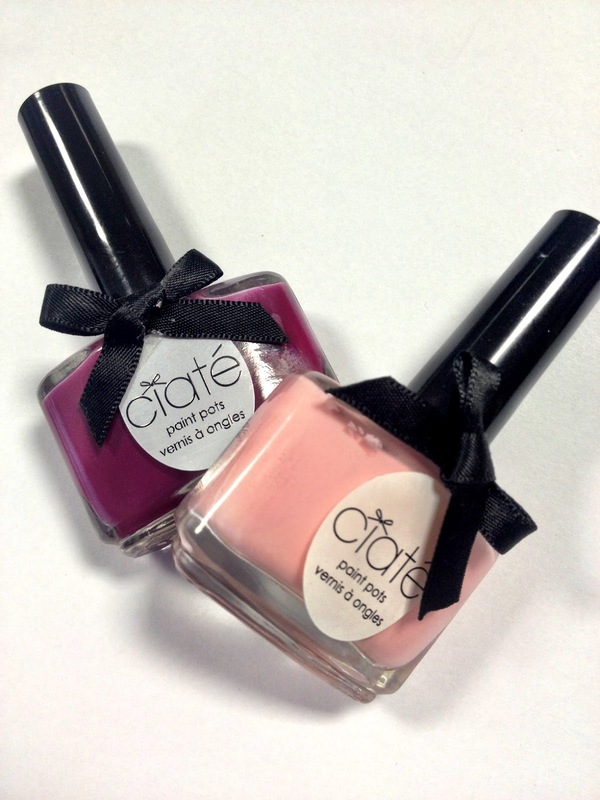 Ciate Paint Pots With The New Look Pru + Ciate.ie! Ah, the September issue. Thanks to the 2009 Vogue documentary we all know it’s the single most important issue for a magazine. 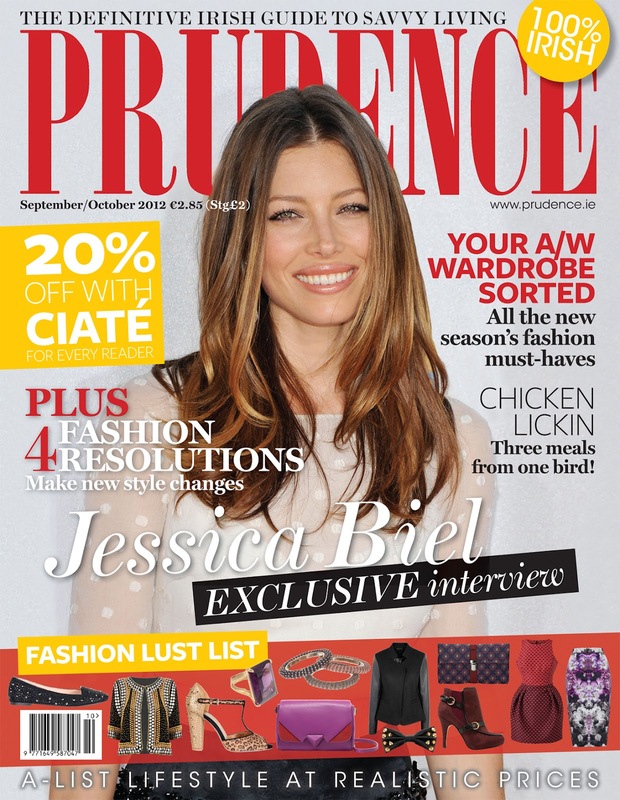 And that’s even more true this year for savvy Irish fash mag, Prudence – their September/October 2012 issue is on stands now and reveals a brand spanking new look. I’ve always wanted a champagne lifestyle on a sparkling cider budget and what I like about Prudence is it helps me achieve just that. For just €2.85 it’s packed full of tips on how to live well for less, along with 30 pages of fashion that combines designer, vintage and high street. And if you’re still looking for an excuse to treat yourself, how’s this? The current issue offers 20% off one of the hottest nail brands around. Ciate are the creators of the Caviar and Velvet manicures as well as some really stunning shades (I’m wearing some here and here). The discount can be used as often as you like over a 6 week period at ciate.ie. The lovely folks at Pru and Ciate.ie have given me a couple of bottles which I'm loving and will be showing you really soon. BUT THAT'S NOT ALL! They've put aside a bottle of Cabaret and Strawberry Milkshake - that's them in the pic - for one of you guys. Just follow the simple steps below. Good luck everyone! And I’d love to know what magazines you like to read, and why – share your favourites in the comments! Vogue is of course The Bible!!! I also love Grazia & Marie Claire. At the moment I've got a stack of magazines that I've yet to read including Company, Glamour, Marie Claire and of course Stellar & U from Ireland! Can't wait to get some time to myself and catch up on them all! Just what I need, more nail polish. In a magazine, I'm really looking for something easy to read, that helps me get value for money. Very important these days. Ooh yay!! I love Ciate!! Such beautiful colors. I've always liked Prudence too, I tend not to buy magazines these days but if I was to pick one up it'd be prudence! The fashion, from all price ranges! I love finding out about homegrown fashion and beauty retailers and suppliers .. Already have a few myst haves on my autumn/winter 2012 wishlist! Love seeing pieces where outfits from different retailers are put together .. style inspiration! helps me get value for money. I love fashion advice and it's always good to find out about new make up and make up application tips. This nail varnish sounds great. I always buy Stellar, U magazine & Prudence. I like Irish magazines. I buy Look from time to time also. I love seeing the latest styles and tips on the best products! What a great concept for a magazine! Because I think all of us feel the money crunch at times. Love those nail polishes. A great giveaway! Vogue, Glamour, all the Oirish ones too, like U and Prudence. Im all about the beauty tips and staying on top of whats in. I always look for variety - I like a magazine that shows different trends, at different prices, especially when there's products/ clothes available in Irish shops. How did I miss this post! Love those two shades, They look perfect for Autumn! To be honest most magazines are so similar I just love something different.I just bought my first copy of Love Magazine, it's more artsy and photography based but fashion is still a big part of it. Their photo shoots are the most creative and beautiful I've seen in a while. It's hard to get your hands on but if you find it I'd encourage you to have a quick look through it! Still love Elle and Marie Claire though! I love the colours! It's great that Prudence and Ciate have teamed up.